Researchers from the University of Helsinki in Finland recently reported that they have developed a new method to remove radioactive contamination from water. They claim their method of nano-scale selective ion exchange is faster than the conventional method and more environmentally-friendly as less radioactive solid waste is produced. The new method of selective ion exchange uses electrospun sodium titanate. Electrospinning is a fibre production method which uses electric force to draw charged threads of polymer solutions or polymer melts up to fiber diameters in the order of some hundred nanometers “The advantages of electrospun materials are due to the kinetics, i.e. reaction speed, of ion exchange,” says Risto Koivula, a scientist in the research group Ion Exchange for Nuclear Waste Treatment and for Recycling at the Department of Chemistry at the University of Helsinki. One conventional method of removing radioactive ions from water is using granular sodium titanate as an ion exchange medium. It is currently used to treat the 120,000 cubic meters of radioactive wastewater generated as a result of the Fukushima, Japan nuclear accident. As radioactive wastewater is run through the ion exchanger, the radio-active ions are exchanged with the sodium in the sodium titantate. The radioactive pollutants remain bound by the granules in the ion exchange unit. The advantage of sodium titanate over other ion exchange media is that it is selective, which means that it is picks out only the radioactive ions from the water. One disadvantage of ion exchange is that a water pollution problem is being transferred into a waste management problem. When the ion exchange capacity is filled, the filtering material has to be switched out. This leaves solid radio-active waste which must be managed. The utilization of electrospun sodium titanate results in nano-scale spindles. The result is an ion exchange solution that occupies less space but provides an equal treatment capability. “Since less electrospun material is needed from the start of the process, the radio-active waste requiring a permanent repository will also fit in a smaller space,” says Koivula. 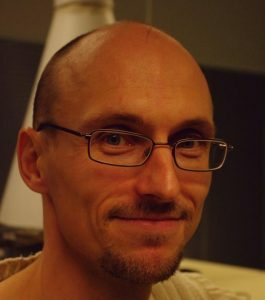 The electrospinning equipment at the University of Helsinki was developed and built in the Centre of Excellence for Atomic Layer Deposition, led by Mikko Ritala. The researchers successfully tried this quite simple method for working sodium titanate into fibre. Koivula’s team studied the ion exchange features of fibre produced this way and found it worked like the commercially produced ones. The utilization of this selective ion exchange method could be applied to the sites with groundwater contaminated with radioactive ions. In Canada, the Town of Port Hope (located approximately 100 km east to Toronto) has over 1 million cubic metres of low-level radioactive waste as well as radioactive waste in treatment ponds. The source of the radioactive contamination is the historic operation of the former radium and uranium refining activities of Eldorado Nuclear. The wastewater treatment facility at Port Hope is a two-stage process that removes salts, heavy metals, and contaminants such as radium and arsenic. The process involves chemical precipitation with clarification followed by reverse osmosis. New spill rules tag transport companies with response, recovery costs in B.C.